Although I'm not the type of person to go all organic. I love my salicylic, benzoyl and AHA to ever give up science-produced beauty products, there is really something about going all-organic. I remember how I first fell in love with Leyende, with their Face Canvas moisturizer. My mom even took my extra jar because she loved the scent and the effects of it. 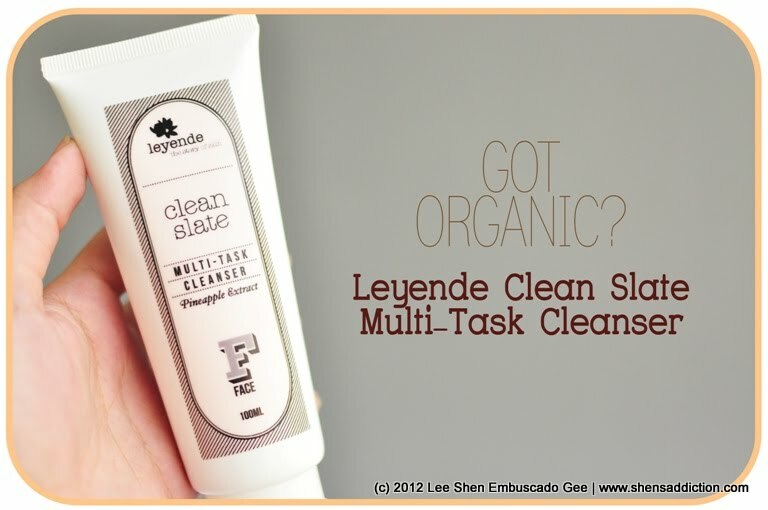 But great news to us to us girls, Leyende's Clean Slate Multi-Task Cleanser works just as great for us! I use this on days that my skin is at it's driest and at it's worst. Meaning, i still have pimples and yet my skin feels dry from all the ingredients of my anti-acne skincare regimen. As you all know Salicylic acid, Benzoyl Peroxide can be extremely drying. Having a facial wash that locks in moisture and resolves the side effects of curing my acne is nothing short of a miracle. And that's exactly what this product is. 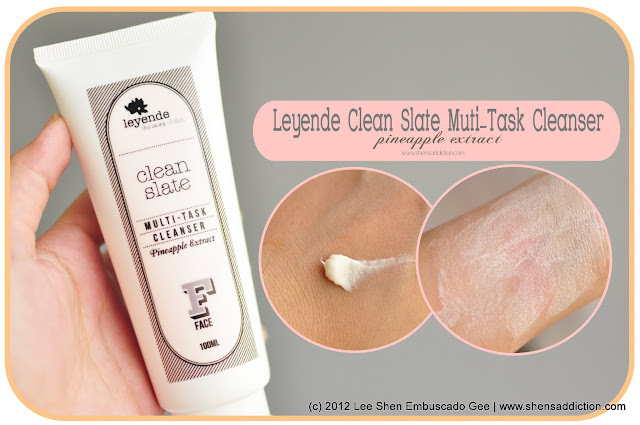 This products has rich creamy consistency, almost like a toothpaste. It doesn't lather so don't expect suds. Since it's very rich, a little goes a long way. So you don't need much to make this product work. If you're on the road to a clean living and would only like to use an all-organic products, then Leyende should be one of the brand that you should keep in my mind. Don't you just wish that this could one of the products you could test at Sampleroom.ph? 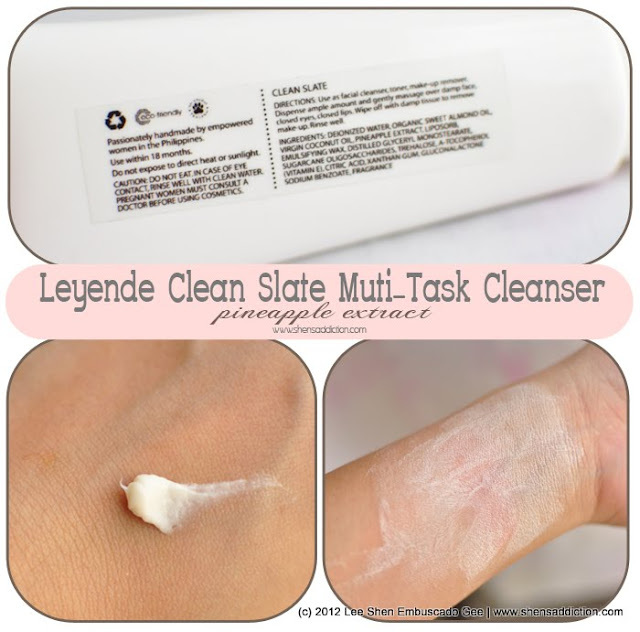 Have you tried anything from Leyende? Let's chat at the comment section below! Find out more about Leyende by visiting their website here.